Okay so first I am going to get a little disclaimer out of the way. I AM NOT A REP FOR JAMBERRY. I do not sell it, I do not get paid to promote it, and I am not going to link you to anything that gives me rewards or money. Now that that's out of the way, I am going to talk about what Jamberry is. So it is a direct sales company (like Mary Kay or Scentsy) which you may or may not find annoying. I think it's awesome for people to try and earn an income however they can and I appreciate and respect the hustle. I have tried multiple direct sales businesses and it is not for me, they are a lot of hard work. So I admire those who do it. Jamberry are little "nail wraps" that you can apply to your nails instead of polish, that give you long lasting, chip free looks, that are also super cute. Nail art, prints and patterns you wouldn't be able to do at home, you now can! So moving onto the actual criteria of the rating. Packaging I gave a 5. It comes in a cute bubble envelope that has the logo on it. The packaging for the actual wraps is cute and simple and effective. So now onto the variety, which is great! They have easily over 1000 wraps include sports teams, college insignia, seasonal looks, and a disney collection! They have so many options it's insane! I was super impressed by that! 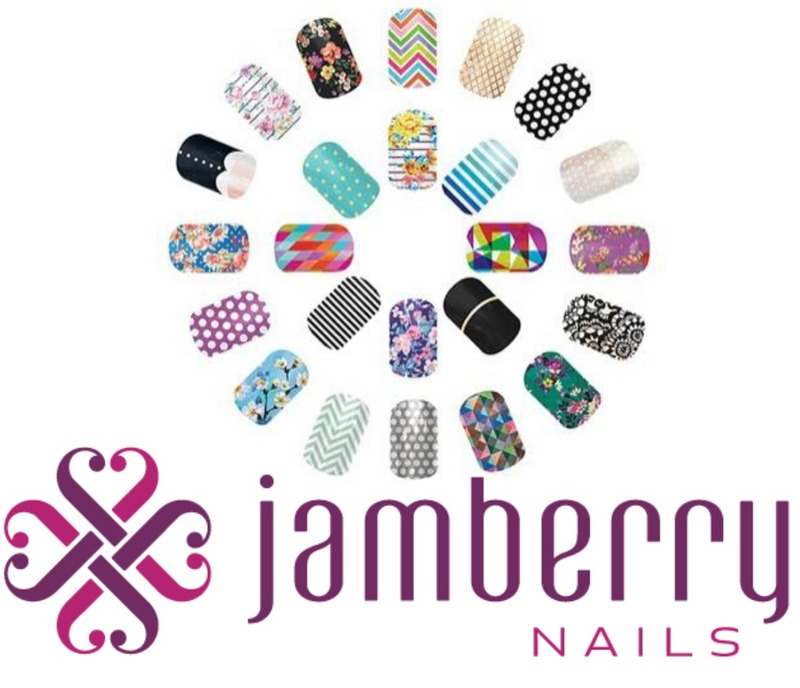 So next it some of my not so favorite things about Jamberry. First things first, these are not super easy to use in my opinion. Basically what the nail wraps are, are stickers with a strong adhesive on the back of them. You peel the sticker off and then heat it up (either with their $20 warmer or with a hair blow dryer) but you can't touch the sticky side with your hands so you have to try to peel it up with an orange wood stick first and use that to get the heat on the wrap and then place it on your nail. The glue cools and dries and you are done. But you also have to buff or file the nail bed and cut the wrap to fit your nail. It is time intensive and definitely has a learning curve. And if you drop your warm Jamberry wrap on your carpet GOOD LUCK. The process is to trim and file the free edge of your nails. Push back your cuticles and buff the nail plate. Then use an alcohol wipe or acetone to clean the nail plate. Then you have to trim your wrap to fit your nail if it doesn't already and then remove your wrap from the sheet with an orange wood stick (they feel like a thick stiff sticker) and then warm it up using a dryer or warmer. Then apply it to your nail and wait for it to cool and use scissors to trim the wrap so it fits your nail and doesn't hang over the edge. Then you have to use a file to get the rest of the wrap filed off so it looks right, and then you put it back in front of the warmer or dryer to let the adhesive really adhere to your nail. It's just a lot of steps. It took me over 20 minutes to do one manicure. The next issue I have with Jamberry is they are pricey in my opinion. You get one set for $15-$18 and they will do two manicures and one pedicure if you cut them right with a few accent nails. I thought "would I buy these at Walmart if they only did one manicure per set at $6 each?" and my answer would be no. Once they are on they feel like nail stickers. They are stiff and if you work with your hands (which as a cosmetologist I do) they edges get worn and stuff gets in the crevice and it looks not so nice. They don't feel or look like a cute mani to me. I guess in comparison to a $25 manicure they are a decent value at $6, but I would rather have a manicure which is higher quality. They have an image that says the sets will do 2 manis, 2 pedis AND have 8+accent nails left, but I did not find that to be true. I suppose if you cut them with surgical precision it would be true, but I couldn't figure out how to make that work. Also removal is a huge pain. If you do not do it right you will RUIN your nail beds, because you are removing dried glue from your filed nail plate! The recommended way is very tedious. The company recommends you use their products of course, but basically you need a polish remover, a bowl, cotton pads, an orange woods stick and a "steady heat source". All that to remove a manicure guys! You start by warming up your wraps in front of the blow dryer or heater for 10-20 seconds or until it starts to lift. Then you use the stick to gently lift the edge, and then you soak your fingertips in polish remove (so say hello to dried out and dead finger tips and cuticles) and then you use the stick to continually peel the wrap little by little going back into the bowl to soak when it stops coming off. If you do this by going away from or towards the cuticle instead of side to side you will also damage the nail bed. If the wrap lifts throughout your week and you tear it or pick it off you will destroy your nails beds. Then after you will likely have left over residue and have to use more remover and maybe even more heat to buff it off with a cotton round. It's once again a lot of steps, it took me 40 minutes to remove all my wraps even with their special remover, and I just don't have time for that! So in addition to a frustrating removal you can also easily damage your nail beds worse than the regular application which is why there is a very low score on nail health. I am trying to update this a little to add some more current information. A couple other positives about Jamberry wraps are that they are free of the top 8 cancer linked chemicals commonly found in nail products (woo hoo!) and are made in America! They also stay on until you take them off, which is great! They are chip free if you apply them properly. If you are interested you can pick some up here! I'm not sure where you got the removal instructions for Jamberry wraps. The way I take them off is super simple... I bought a $1 e.l.f. concealer brush at Target, dipped it in polish remover, and worked it underneath the side of the wrap. There are videos on YouTube for this method, I'm sure. This way you aren't wasting money on remover or soaking your nails in nasty chemicals. Another method I've heard of is to use coconut/olive/etc oil and massage underneath the edge that you've lifted slightly. Ps. I have sold Jamberry in the past and love the products. I've also tried Color Street and like them. Each product has their pros and cons. I got my removal instructions straight from the company! You can see Jamberry's recommended removal method directly on their website at the link below.